WHEN FUEL QUALITY CAN’T BE COMPROMISED, GO WITH A TRUSTED LEADER. 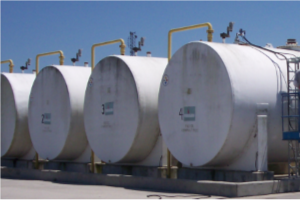 Leverage our decades of experience in top quality fuel polishing systems, technical training, and tank cleaning solutions. 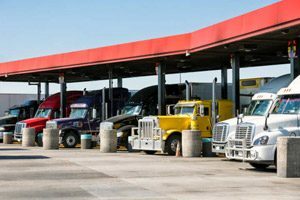 It is essentially the removal of water, sediment and microbial contamination from such fuels as diesel, gasoline and biodiesel. read more….. Without clean fuel you could suffer from unintentional engine shut down from clogged filters or fuel injection component failure. Let us help you figure out the perfect system for you. Fueltec Systems provides a broad range of maintenance products for stored fuels worldwide. When your business depends on clean fuel. 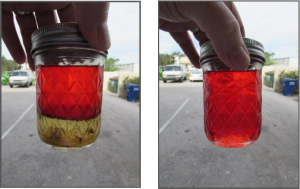 Fueltec has the solution for remediating phase separation in ethanol blended gasoline or removing contaminates from diesel fuel. When the lights go out and your diesel engines have to operate sometimes in a life or death situation. 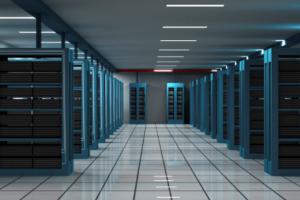 Fueltec is there with systems tailored to your application. Trucks and locomotives rely on clean diesel. Fueltec has the answer to keep your fleet running 24-7. Government agencies and military units rely on all fuels: diesel, gasoline, and jet fuel. Fueltec’s systems for all fuels are in use worldwide. 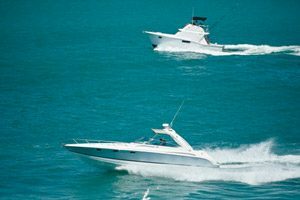 Water and contamination must be removed from both gasoline and diesel marine tanks for safe operation. When you need a system that can be used for all fuels, FuelTec has you covered. When your diesel engines have to operate without hesitation. Fueltec has the solution to insure that your fuel is pristine. 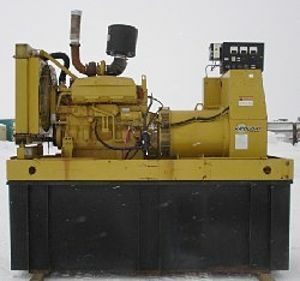 When you need a partner that understands 24-7 diesel generator operation. 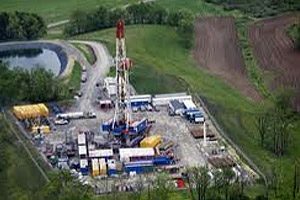 Fueltec is there with both mobile and permanent solutions. If you are just starting a fuel polishing service or adding to an existing company, Fueltec has the mobile systems and support for your diverse needs. 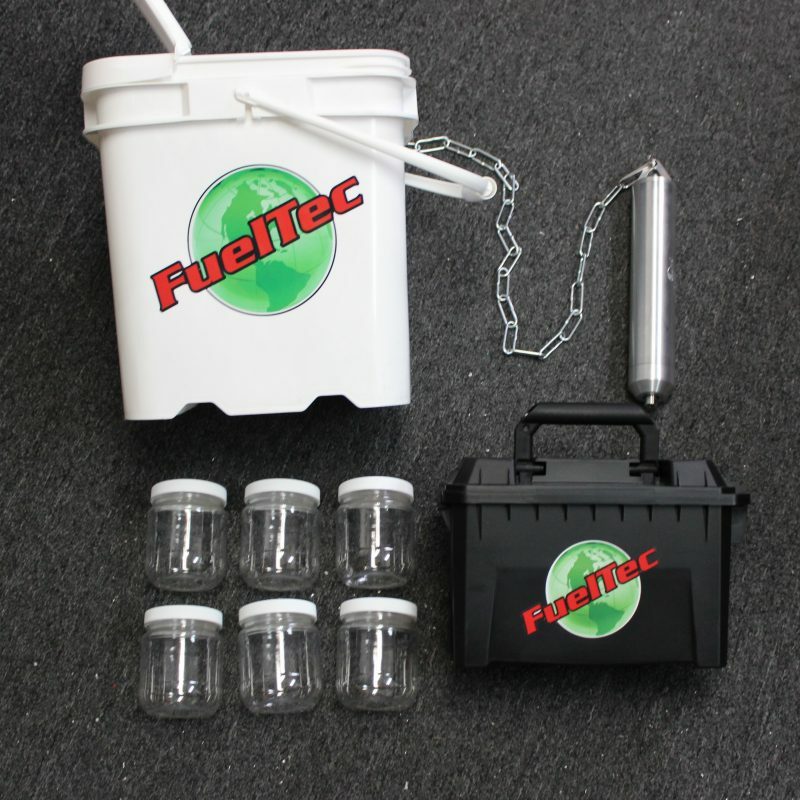 Fuel Sampler Kit 8 oz. 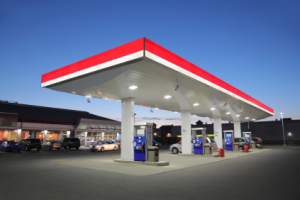 When choosing a fuel polishing system; keep in mind that 99% of the contaminates in a fuel storage tank, including water, are heavier than the fuel and will be found at the bottom 10% of the tank. You won’t have to filter the entire contents of the tank unless the fuel has been disturbed or mixed. In that case it should settle to the tank bottom within 24 hours. Always select a mobile fuel polishing system that has a clear water separator sight gauge that will show you water as it is being removed from the fuel. 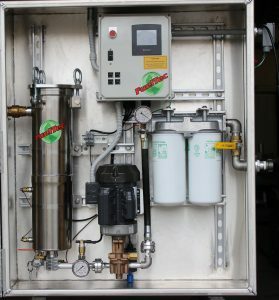 The water separator should remove water from your fuel to less than 50 parts per million with a hydrophillic coalescer and hydrophobic water separator. Gravity separators are not acceptable. 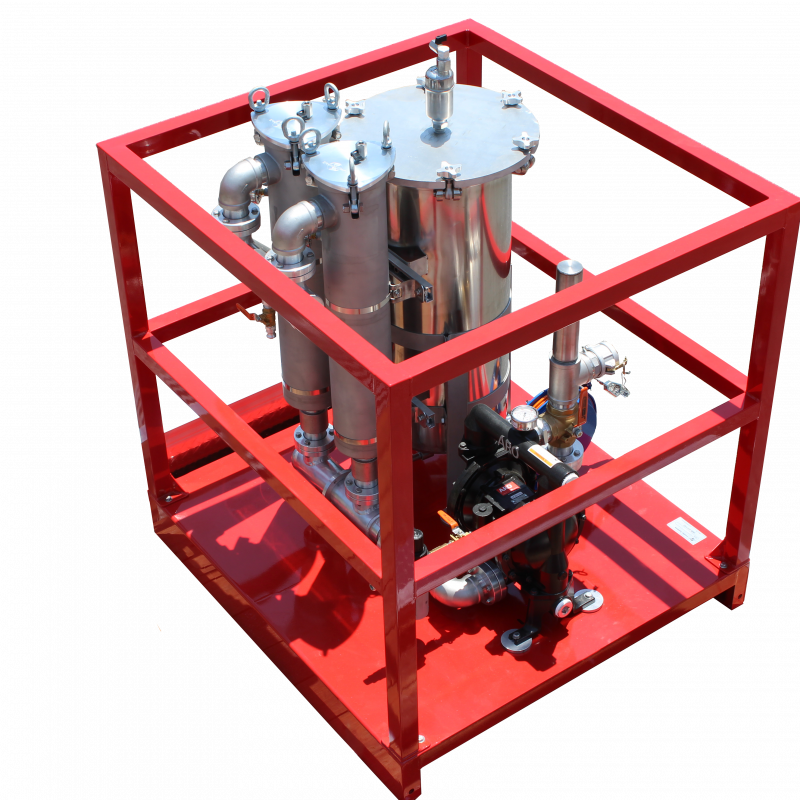 A well designed mobile system will have one micron disposable low cost filter to remove contaminates like rust, sludge, and bacteria clusters that could clog engine filters. Filter and water separator housings should be made from stainless steel or other acid resistant material; powder coated steel will chip and rust in time. 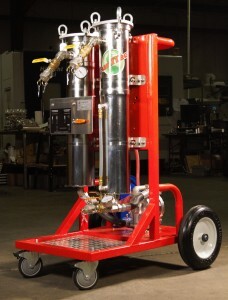 If you will be polishing gasoline and ethanol blends as well as diesel you will need an explosion proof system. 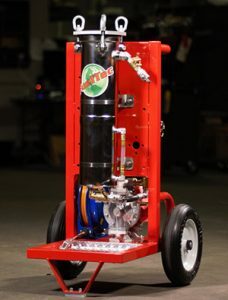 When working on diesel or gasoline storage tanks that have water contamination; high velocity pumps are not the answer. They will only cause more problems: diesel fuel will emulsify and not separate from the water, and ethanol blended gasoline will phase separate and become out of spec. with a low octane rating. It is best to use a fuel polishing system with a low or variable velocity pump to separate the water from the fuel at a slow rate, then increase the velocity to remove particulate contaminants. 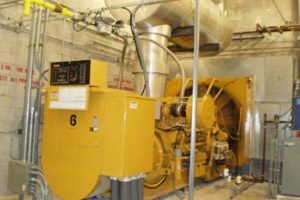 Fueltec’s fuel polishing systems can be found at data centers, hospitals, cellular providers, equipment and generator service companies, marinas, boat yards, mines, military installations, government agencies, power companies, and petroleum service contractors. 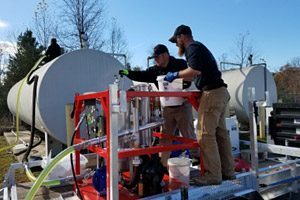 For more info or to schedule a visit to learn and operate our fuel polishing systems in real time at our facility in North Carolina.